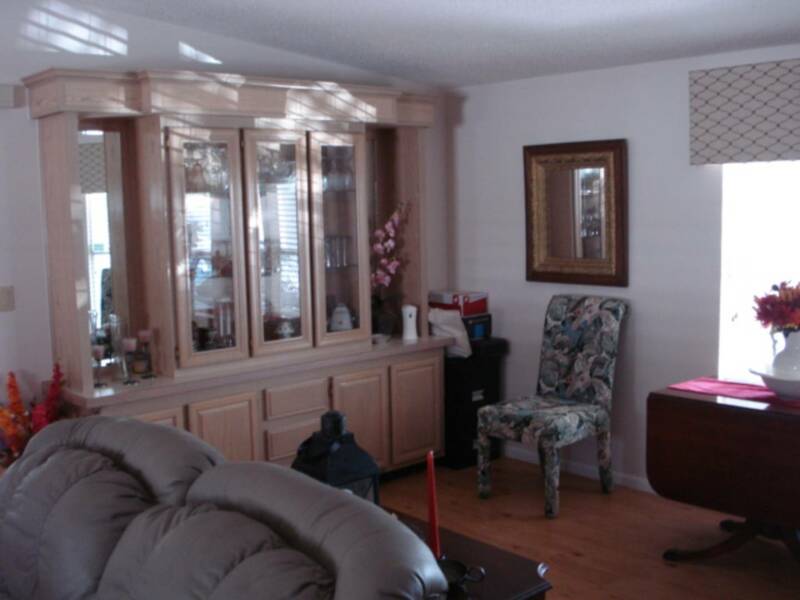 AN EXCEPTIONAL HOME. 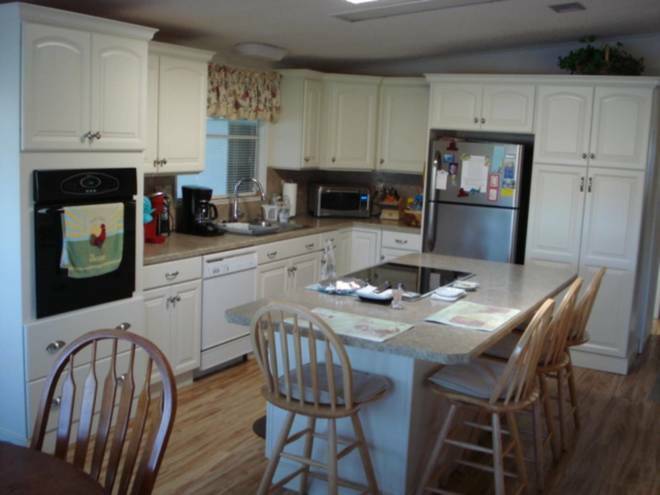 This home is beautiful and needs to be seen to be believed. 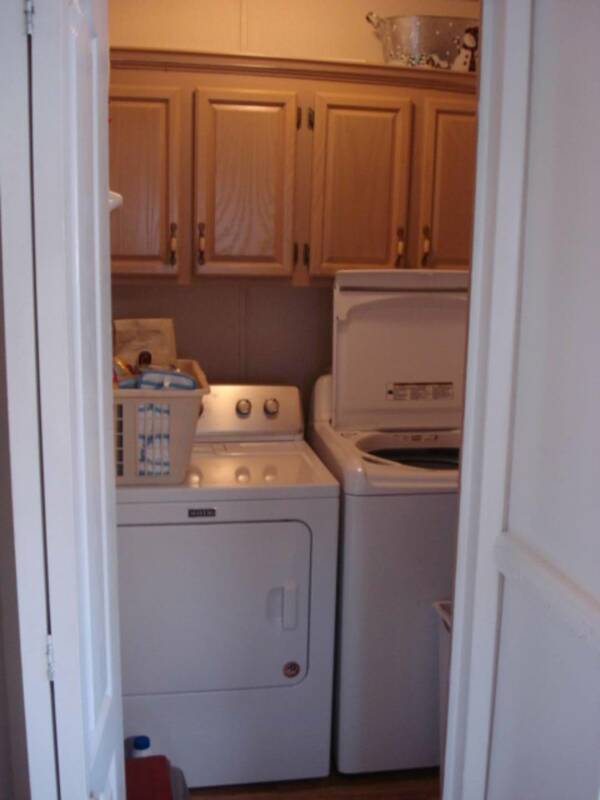 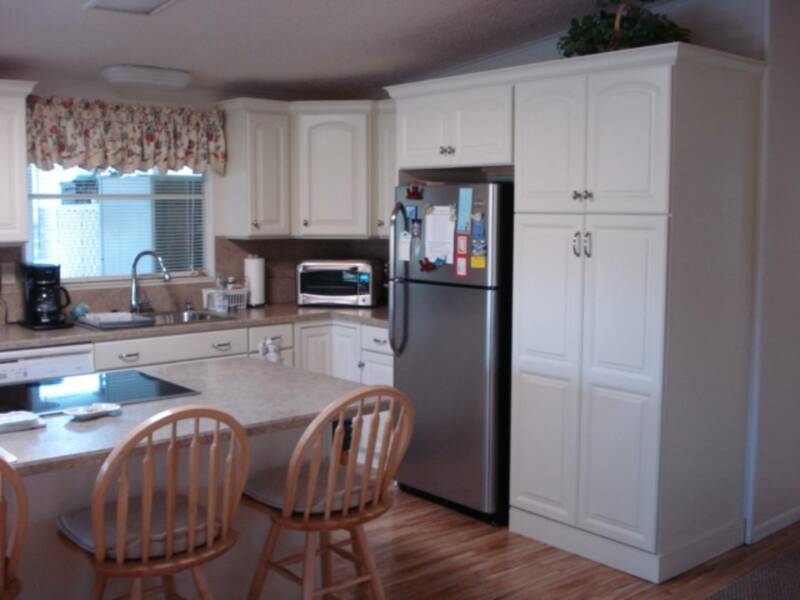 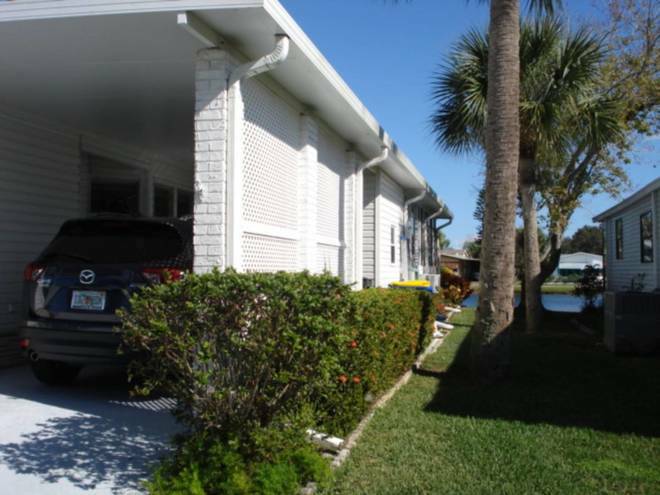 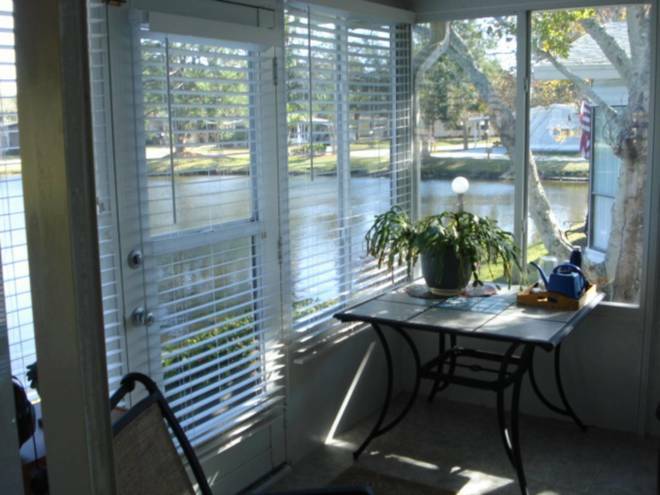 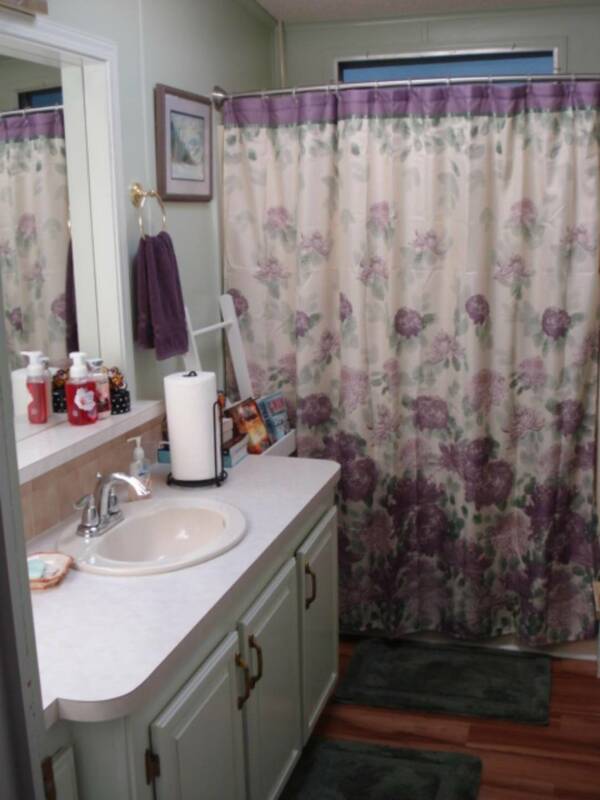 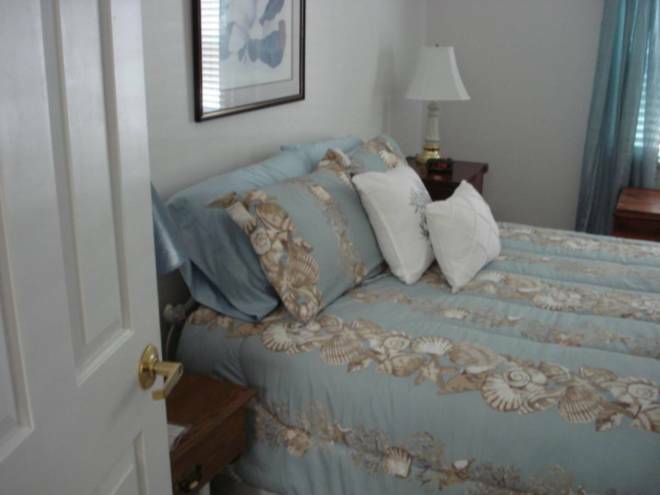 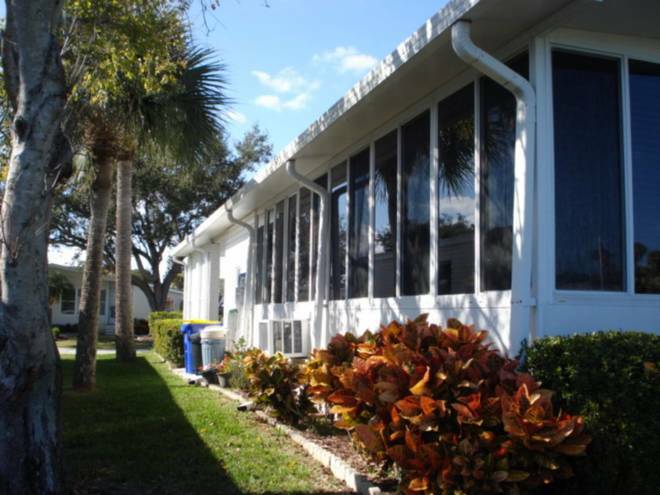 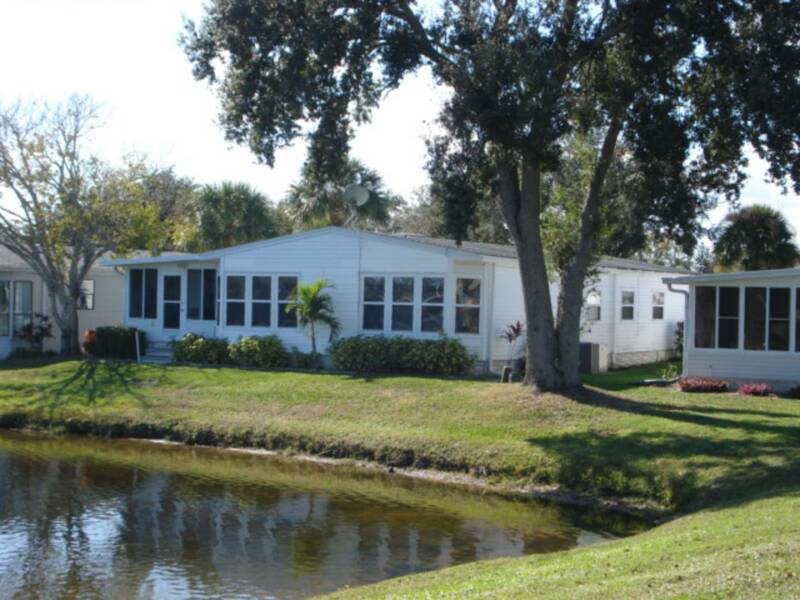 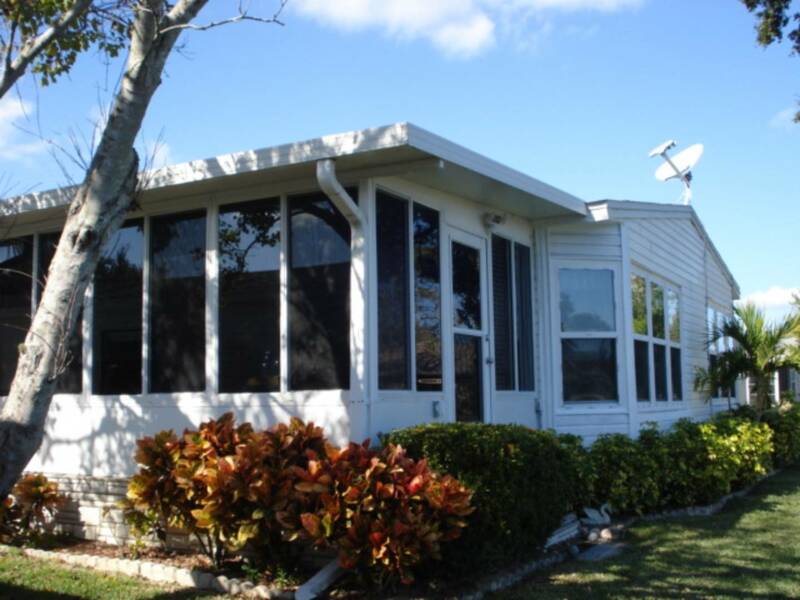 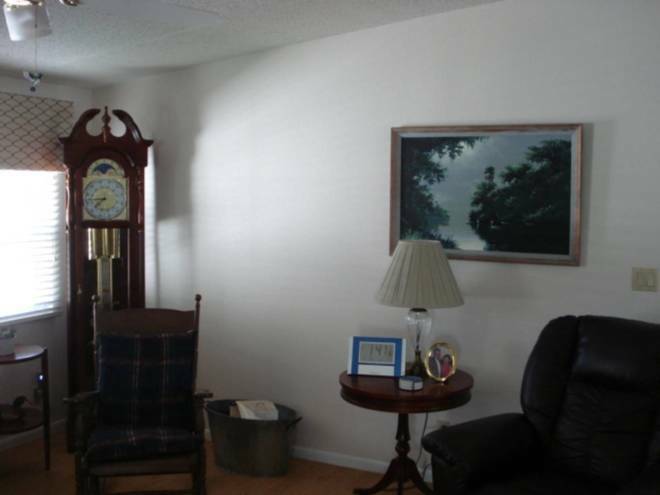 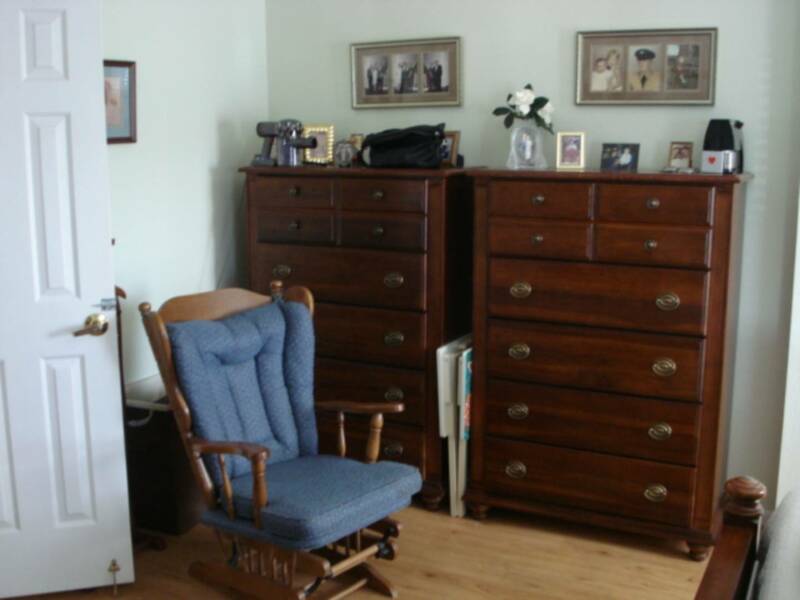 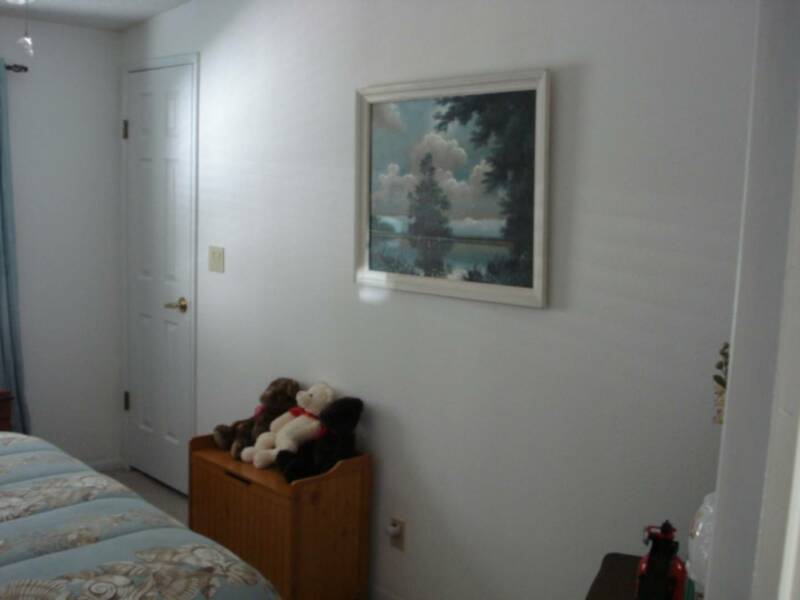 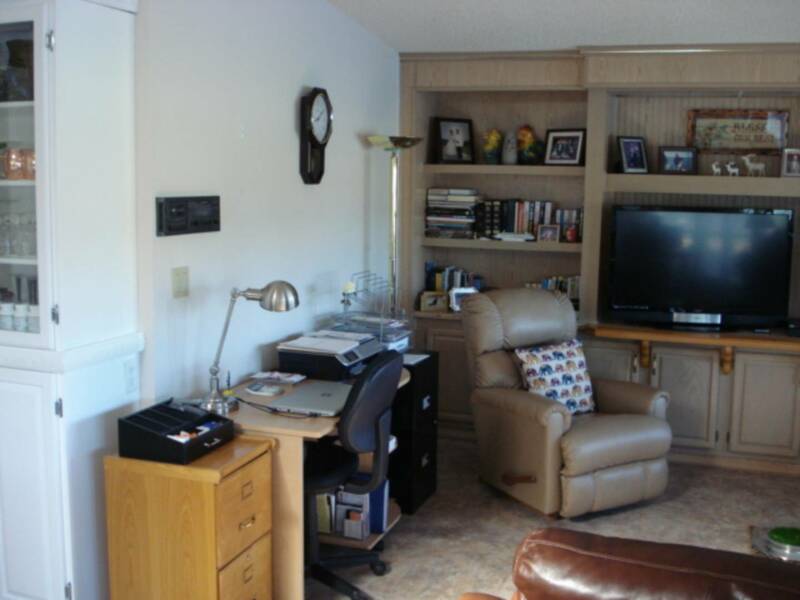 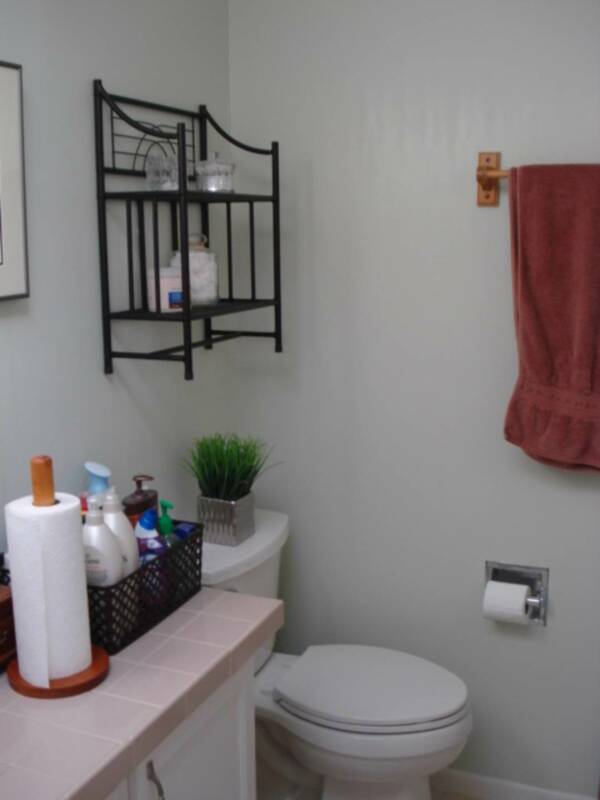 It is a 1990 Palm Harbor, two bedroom/two bath 1674 sq. ft home. It has a great layout with a formal living room/dining area plus an open kitchen/dining area and family room combined. 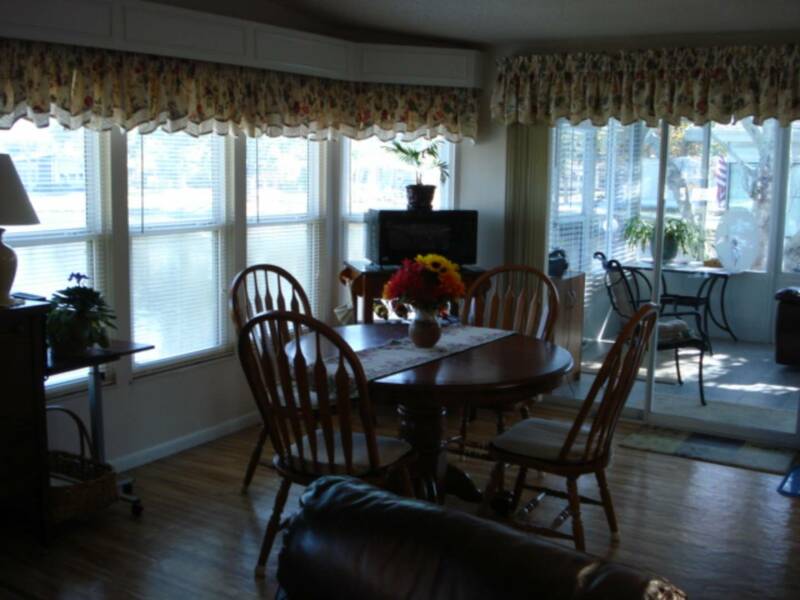 The kitchen/family room has a wonderful view of the water. 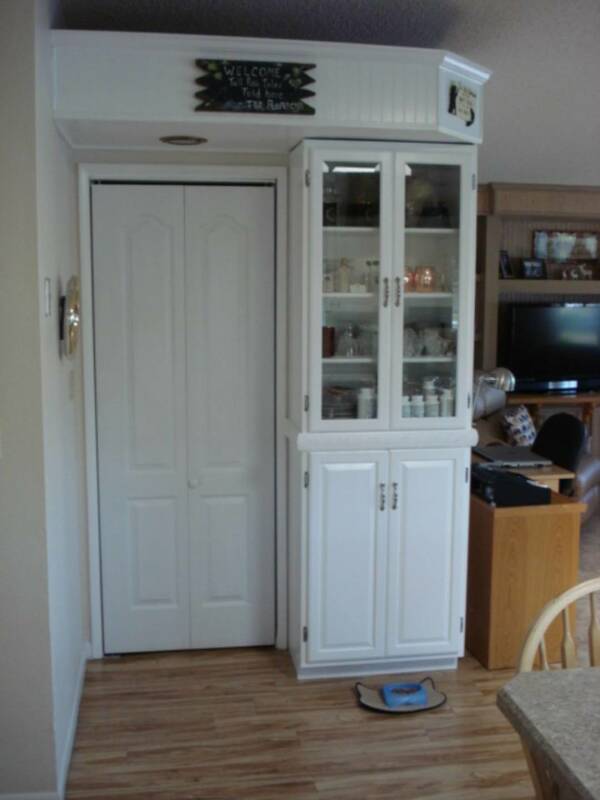 It has laminate floors in every room except the 2nd bedroom which has carpet. 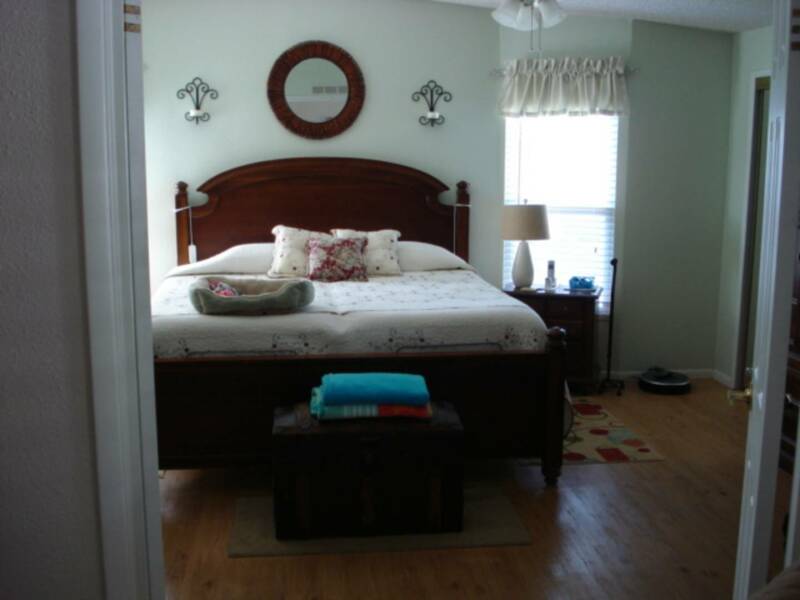 The master bedroom is large and has a very nice master bath attached. 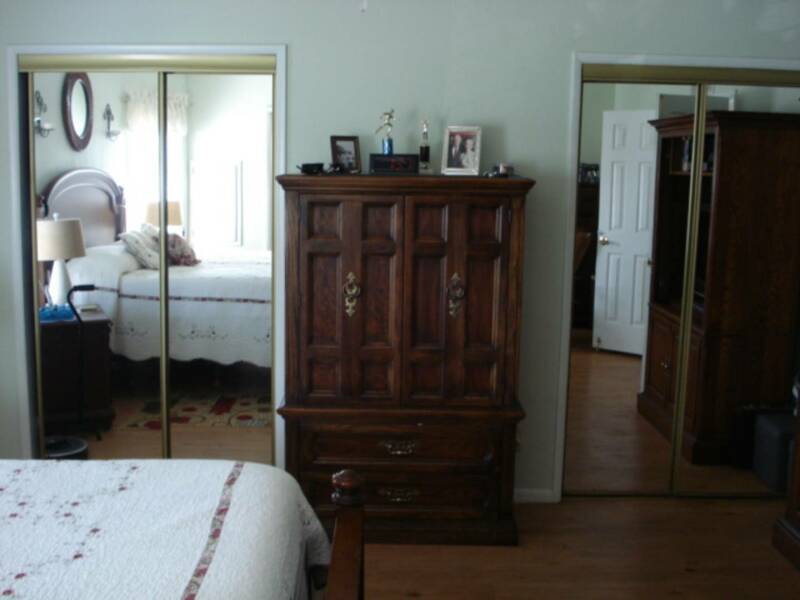 The 2nd bedroom is good size and has a nice size closet. 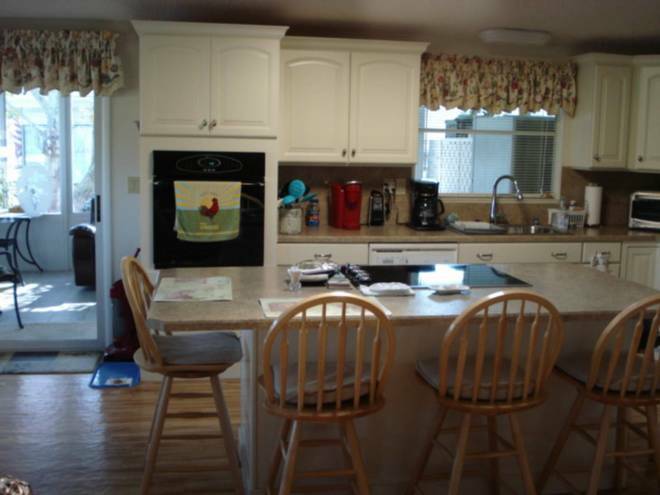 The kitchen is all brand new in 2014 with beautiful soft closing cabinets and laminate countertops and opens to a family room and eating area. 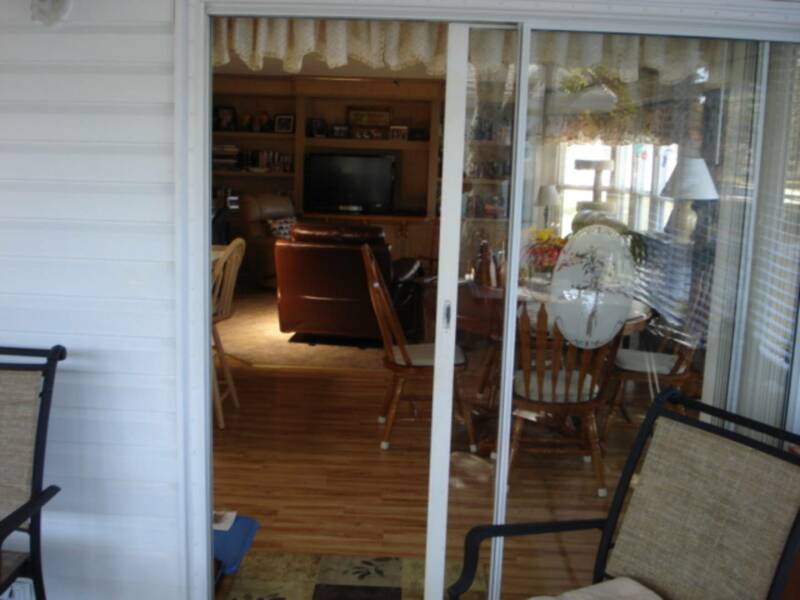 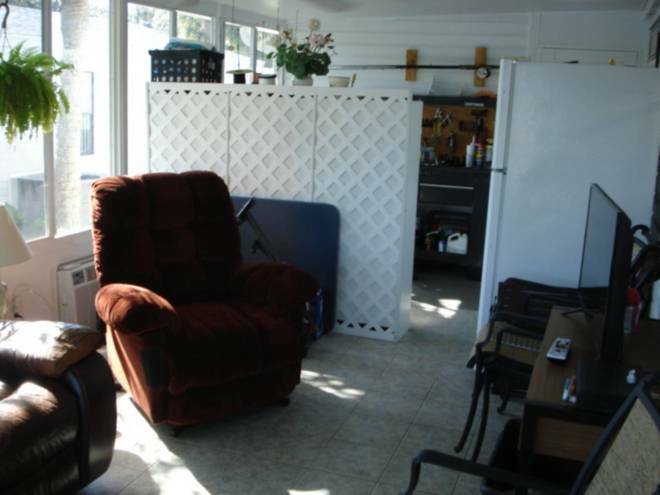 Immediately off the eating area is the enclosed sunporch with insulated roof, A/C, tiled floor, and side slide windows. This also has a view of the water. In 2011 this house had: a new roof, replumbed, and a new A/C. 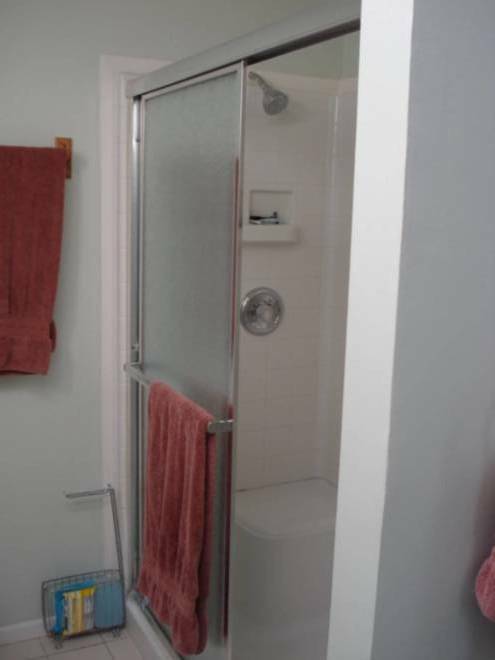 The water heater was new in 2008. 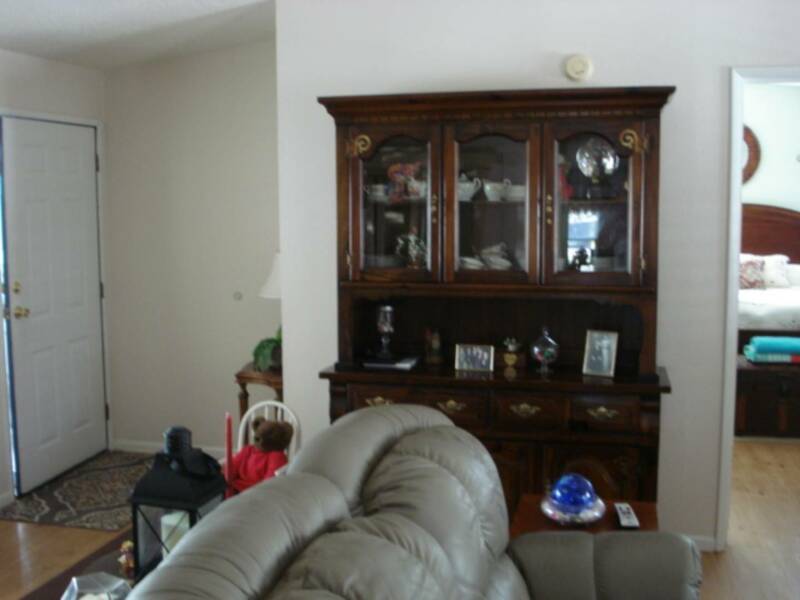 You really need to see this home. 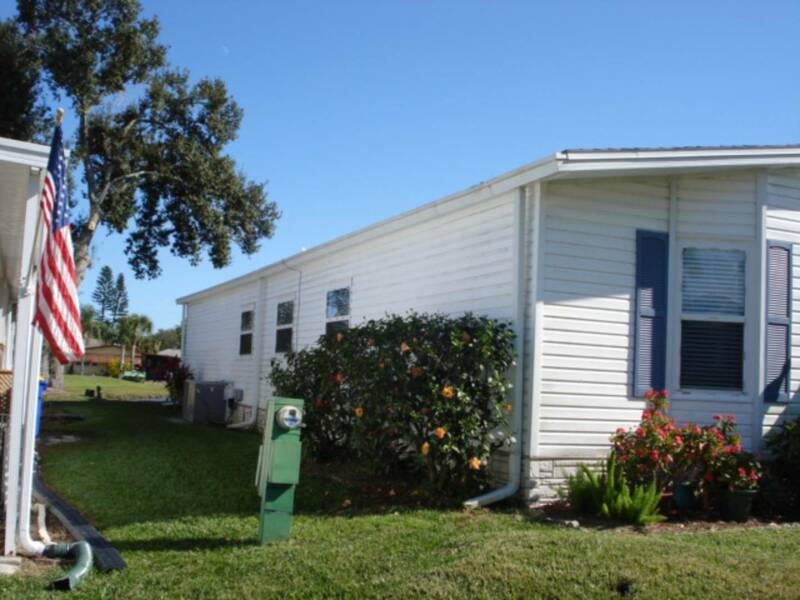 Current monthly lot rent is $429.69 and will then go to market rate for new buyers only which is projected to be $611. Increases thereafter are tied to Consumer Price Index (CPI). 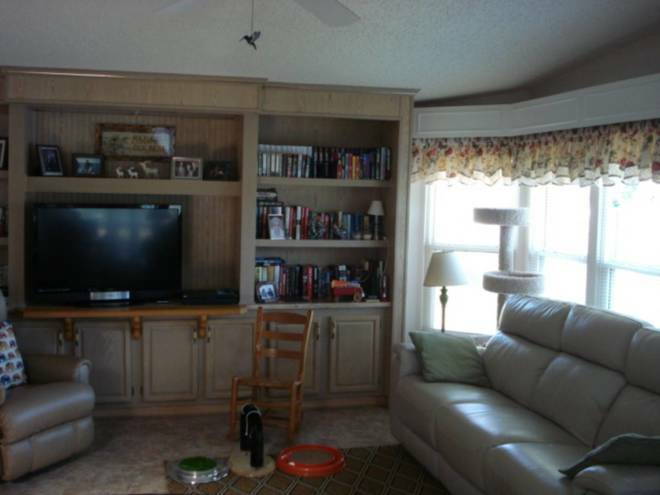 Lot rent includes basic lawn care (mowing, edging, trimming & clearing of clippings), as well as the use of all of the community facilities including the clubhouse, heated swimming pool, shuffle board, horseshoe pits, library, exercise room with a ping pong table, game room, double kitchen, banquet room, two large ponds with fish as well as native ducks and turtles, and a fenced storage area for free storage of residents RV's, boats, and trailers based on availability. The mailboxes are in the clubhouse. The active voluntary HOA in the park (dues $20 a year) plan, sponsor and operate a full slate of social activities including weekly bingo, bridge, poker, mah-jongg, and dominos. They have bowling leagues, billiard table, horseshoe pits, holiday parties, arts & crafts, cookouts and covered dish events. Indian Oaks is pet friendly (they are to be 25 lbs. or under when fully matured). 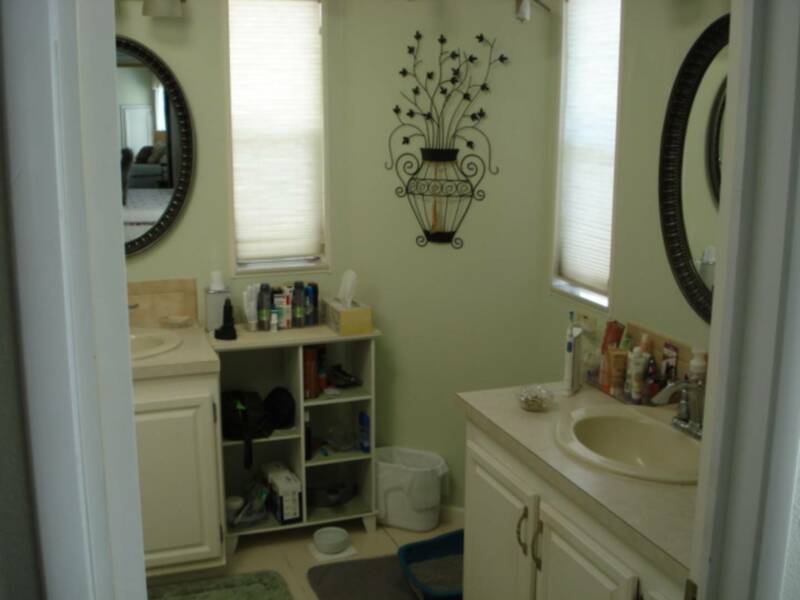 One dog or per household. 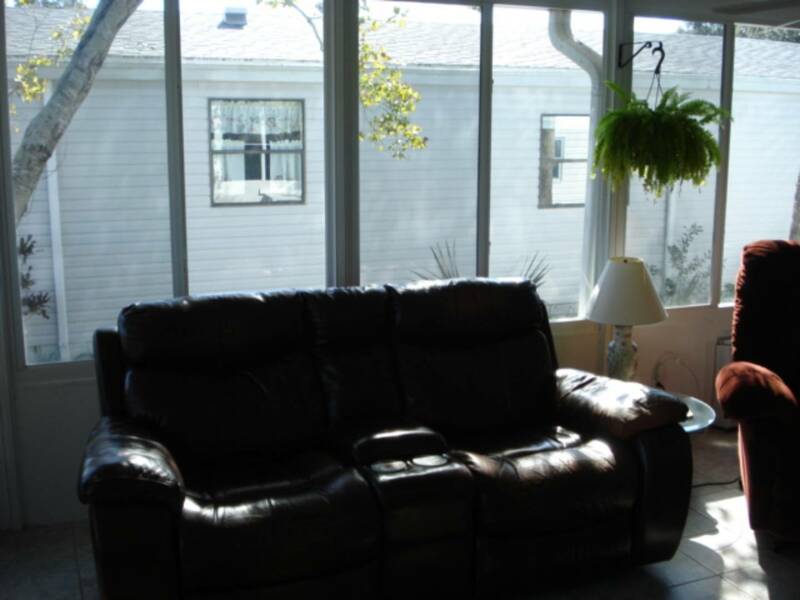 Indian Oaks Mfg. 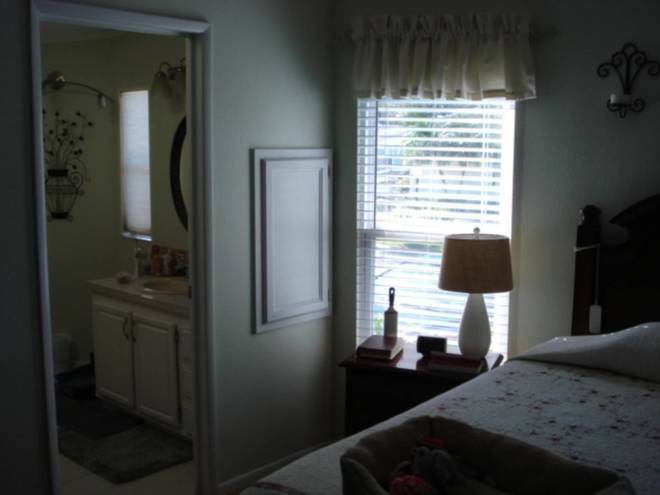 Home Park is conveniently located to shopping area (less than 1 mile away), golf courses, Brevard Zoo, hospital, churches and doctor's offices. Rockledge is 45 minutes from Orlando Airport, 60 minutes from Daytona, less than 30 minutes from Cocoa Beach. 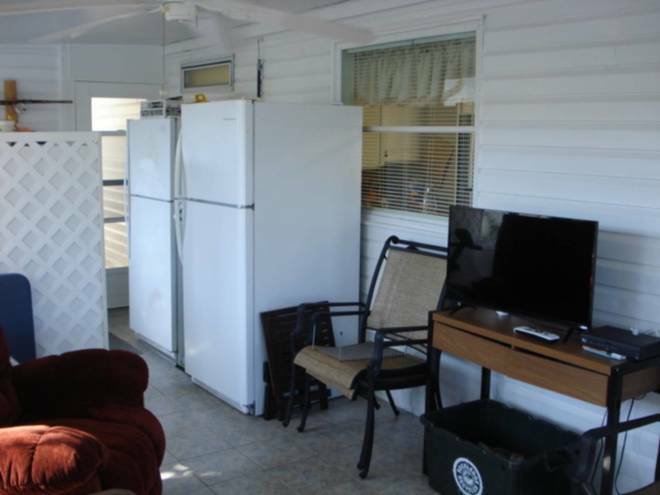 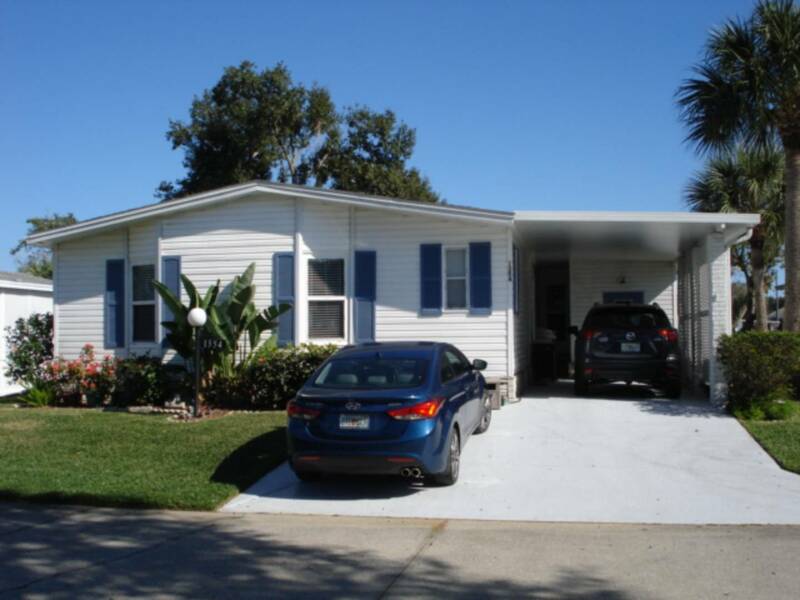 I would like more information regarding the Florida Mobile Homes On Sale Listing #10568460 at 1354 Deer Trail, #206, Rockledge, FL.